© 2010 Tequila works s.l. Announcement of Groundhog Day: Like Father Like Son. For the first time, you can get a look at Groundhog Day: Like Father Like Son, an immersive VR game continuing 26 years after the iconic film left off. The game, which comes to PlayStation and other platforms later this year, is published by Sony Pictures Virtual Reality (SPVR), produced by SPVR and MWM Immersive, a leading creator of high-quality VR and AR experiences, and developed by Tequila Works. In the era of “Bandersnatch,” this is SPVR’s first foray into using branching narratives and interactive storytelling to drive an immersive VR game. 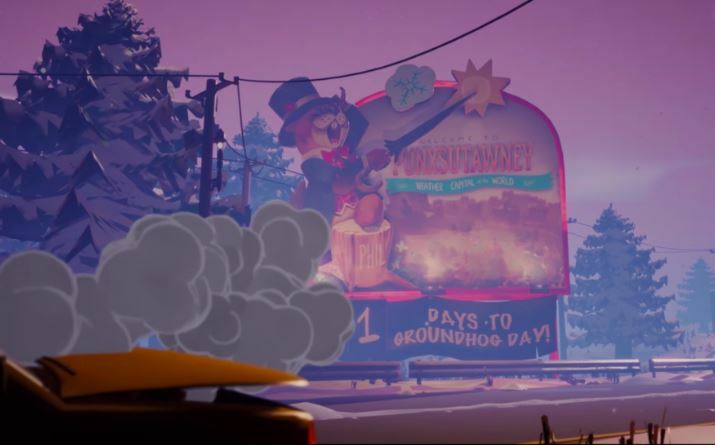 With its unique time loop conceit, Groundhog Day lends itself perfectly to an immersive VR experience, enabling players to choose myriad ways to get to the end. In Groundhog Day: Like Father Like Son, you’ll play as the charming but arrogant Phil Connors Jr., who grew up in the shadow of his father — a man who spent a lifetime repeating a single day until he had made it perfect. But for Phil Jr., today is the worst day of his life. He’s trapped back home in Punxsutawney, the small town he thought he’d escaped, where he can’t even get a decent cappuccino — and he’s going to have to repeat the day over and over, until he learns the true value of friends and family. © 2019 Tequila works s.l. This site uses proprietary and third-party cookies to improve our services. If you continue browsing, we will understand that you accept their use.